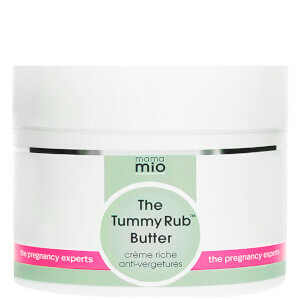 Boost your body confidence with the Goodbye Stretch Marks Stretch Mark Minimiser from Mama Mio, a potent cream that works to reduce the appearance of old and new stretch marks caused by pregnancy and weight fluctuations. Hydrating & Quenching for Thirsty Skin! I like putting this all around my upper thighs and buttocks where I had growth marks from adolescence and find it really helps bring hydration and quench the dryness/tightness in these areas! This stretch mark cream is great, it smells lovely and absorbs really fast into the skin . I have been using this for a couple of weeks now and my stretch marks already look like they're fading, can't wait for more results as I continue to use this!